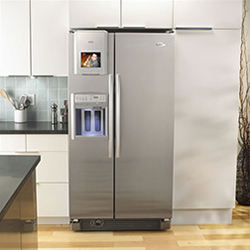 Area Appliance Service is the best residential refrigerator repair service in the Buffalo Grove and Arlington Heights areas. Our expert technicians provide professional refrigerator repair to get your unit up and running fast and efficiently. If you need help figuring out if your fridge is repairable or if you’re just better off buying new, please give us a call today to speak with a LIVE appliance repair professional. Our company offers a FREE, no obligation phone consultation at (847) 459-8070. You can always contact us online 24/7/365 to schedule repair service. Time is of the essence when your food is spoiling. Our refrigerator repair company understands that your time is very valuable; especially when your food is spoiling and your dollars are melting away inside of your failed refrigerator. 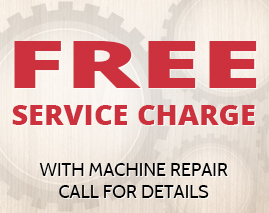 That’s why we offer same-day or emergency appliance repair services to get you serviced immediately. Our expert techs will arrive on time, and come with the necessary parts stocked on our trucks to get your home back up and running. We can handle all types or refrigerators including side-by-side, top freezer fridges, and bottom freezer refrigerators. Fixing top brands such as Maytag, Kenmore, Whirlpool, GE, Amana and more. My refrigerator is not cold enough. My refrigerator’s water dispenser is not working. My ice maker is not working. The ice dispenser is not working. My refrigerator’s ice maker keeps overflowing. My refrigerator is not defrosting. My refrigerator is noisy or loud. The refrigerator defrost has draining problems. My freezer is cold, but refrigerator is warm. My refrigerator constantly freezes food. My refrigerator light is not working properly. Schedule Service for Your Refrigerator Today! We know that your large appliances are an investment in your home. That’s why we offer a Satisfaction Guarantee on Labor and Appliance Parts for up to 12 months, for ALL refrigerator parts and labor in the instance that a part or repair may fail. We’d like for you to rest assured and with piece of mind that we’ll be there in the case that any problem down the road may arise. Area Appliance Service has been in the refrigerator appliance repair business for over 5 decades, is family owned and operated, and stand behind our work. Techs are factory trained, licensed, bonded & insured.